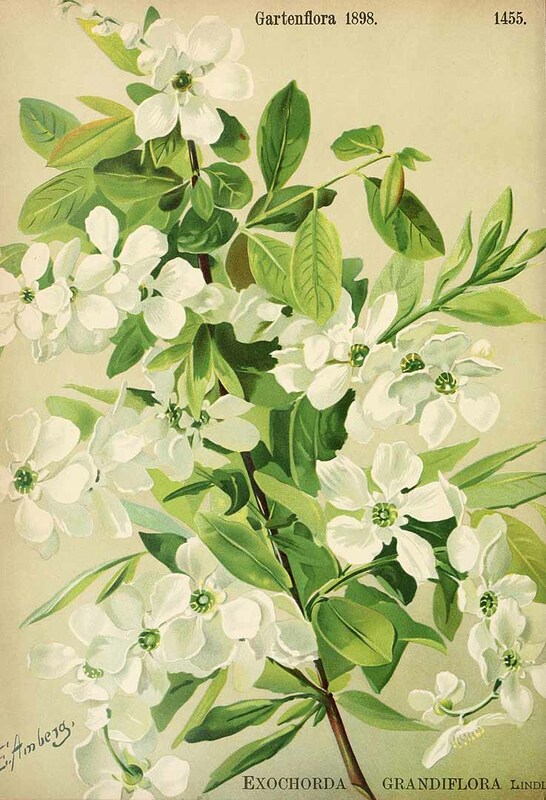 Commonly known as the 'Pearl Bush', Exochorda x macrantha 'The Bride' is a medium-sized, deciduous shrub noted for its exceptional blooms. However. outside of its flowering period it is (in my opinion at least) a rather dull, and uninteresting specimen. The 'macrantha' form is the result of a man-made hybrid produced by Austrian botanist Camillo Karl Schneider (1876 – 1951) in 1908. Schneider successfully crossed Exochorda korolkowii (native to Turkestan) and Exochorda racemosa (formerly E.albertii and native to China). The selected cultivar 'The Bride' entered cultivation in 1938. "As an isolated specimen the effect is magnificent." It is a robust specimen tolerant of most aspects and ordinary garden soils. It will perform best in full sun in a slightly acidic, reliably moist but well-drained soil. You will need to provide some shelter against late spring frosts, as these can scorch the emerging foliage. 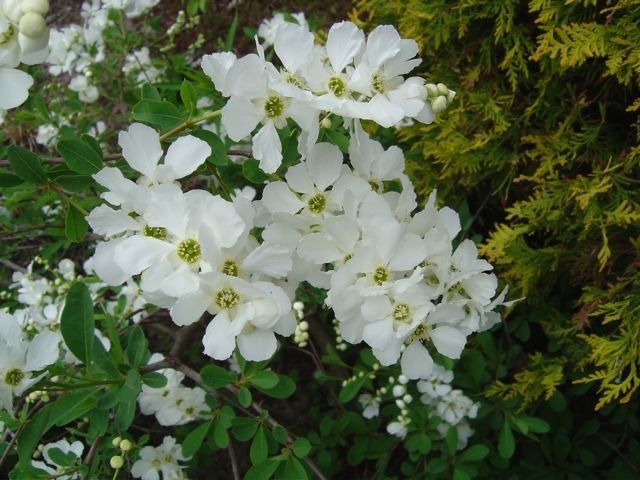 Exochorda x macrantha 'The Bride' has received a number of awards from the Royal Horticultural Society. The Award of Merit in 1973, the Award of Garden Merit in 1984, and the First Class Certificate in 1985.